Celebrate springtime with a lavish array of brightly colored flowers, fruits, and insects, all found decorating small utilitarian objects such as plates, bowls, and boxes. In the 17th century, Jesuit missionaries exported the painted enamel technique, which originated in Limoges, France, to Chinese workshops in Beijing and Guangzhou. During the 18th century, Chinese enamellers illustrated auspicious symbols drawn from the natural world as wishes for happiness, abundance, and long life in a wide range of newly available pastel colors. These rare and beautiful treasures are part of a generous bequest made in 2014 to the Taft Museum of Art from the late Reverend Compton Allyn, a collector and steadfast friend of the Taft. 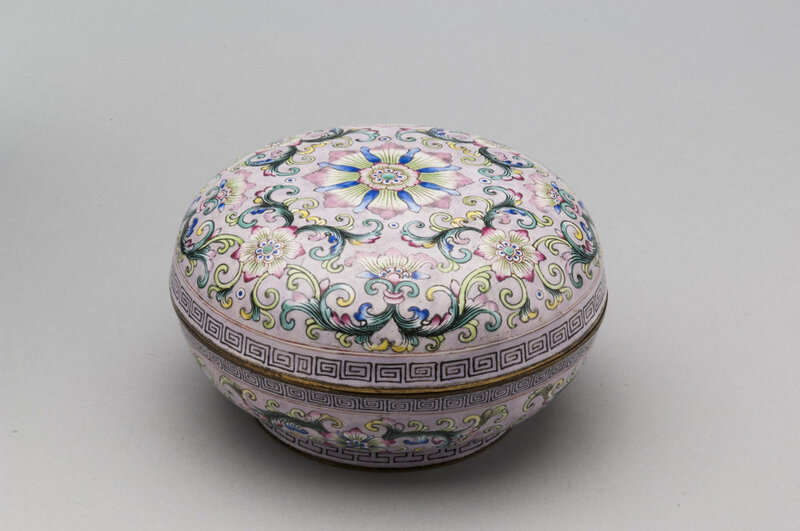 On view for the first time, this selection from his recent gift inaugurates a sequence of exhibitions to be held over the coming years, each of which will feature a different group of enamels.